Sue Mack will officially join the Thomas campaign as a senior policy advisor, bringing decades of high-level experience to his team. Mack’s support comes at a critical juncture for Jersey City schoolchildren, with local control potentially returning after decades while the current members of the Board struggle to find common ground. 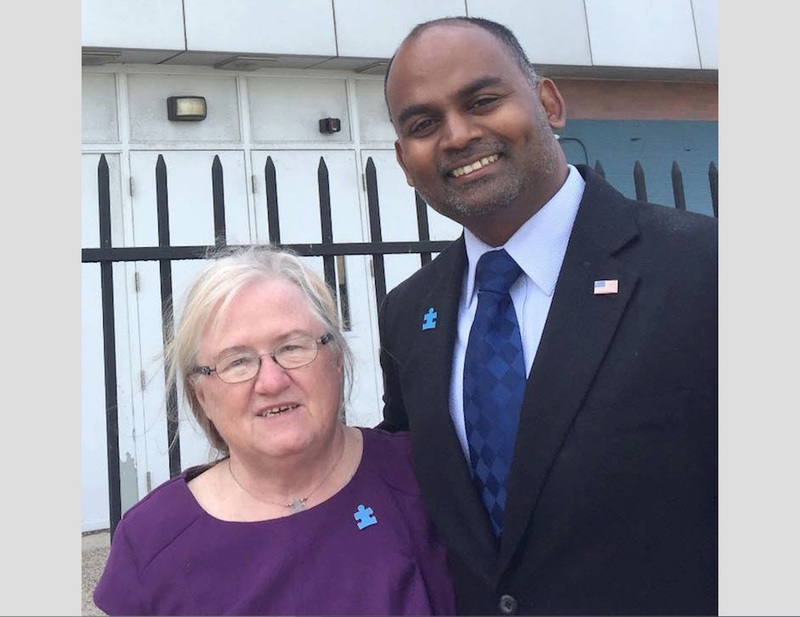 One of the most influential leaders in Jersey City and the longest serving member of Jersey City Board of Education, Sue Mack’s endorsement marks a passing of the baton and coalescing behind Sudhan Thomas. Earlier this week Hudson County Freeholder Bill O’Dea, Freeholder Anthony Romano and various city council members including councilman-at-large Daniel Rivera and Councilman John Hallanan, endorsed Thomas. Thomas has also received the endorsement of Mayor Fulop, Assemblyman Raj, JCEA, JCDO, and NJ College Democrats earlier in August. This makes Thomas the most widely-endorsed candidate in the race going into the fall campaign. Sudhan Thomas is a successful business professional in the financial industry and a longtime resident of Jersey City. He lives with his 21-month old son in the Ward A area of Jersey City. A single father who has committed to raising his son with the right values, education and care, Thomas spends 18 days at home full time with his son and works the remaining 12 days through a flexible work arrangement. Thomas is one of 180 certified 9/11 docents in the United States who educates visitors at the National 9/11 Memorial and Museum; his work has impacted millions of visitors and students. He has also been actively involved in supporting veterans and LGBTQ rights. Sudhan Thomas is part of the Education Matters ticket along with Gina Vertibello and Anthony Valentine and has been endorsed by Mayor Fulop, Assemblyman Mukherji, JCEA, JCDO and various elected representatives and organizations. Sue Mack has had extensive involvement in helping to build and bring progress to Jersey City on the school board and beyond. While she had many achievements during her tenure, she created the award-winning Special Education Parental Advisory panel which oversaw the construction of $200 million in new school facilities. Mack has been a national leader for our special needs children and has continued her work assisting those with autism and other disabilities at the non-profit school “KFM Making a Difference.” During her 18 years on Jersey City Board of Education, Mack was available to parents and students 24-7. Mack’s work during her time at JCBOE exemplifies her commitment to the community.